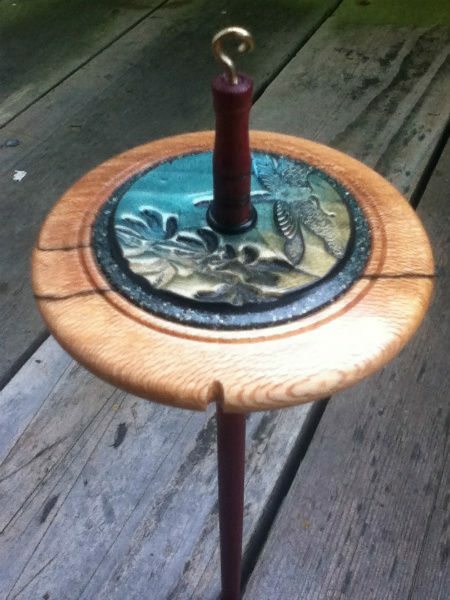 As I mentioned in a previous post I recently got my very first drop spindle (thanks Ken Ledbetter!) and plan to start learning to spin yarn soon. I don’t know almost anything about this craft but I think it could be really meditative and might offer a chance to expand on the benefits I already get from crochet. 1. Most spinners don’t seem to like working with merino. I thought that this was really interesting since so many people I know enjoy crocheting with this yarn. The spinners confirmed that they like to knit and crochet with it but don’t enjoy spinning with it for a variety of reasons. @HetWolbeest said it always feel like “arguing” working with merino, @corwinna said “somehow Merino and I don’t get along”, @FuzzbeeYarns said merino doesn’t have enough personality, and @wollig explained: “short staple, lots of crimp, felts easily … don’t like the mulesing of the sheep”. But I will say that @BlackSheepGoods said spinning with merino is enjoyable even though it may not seem like it at first. 2. Spinners are highly interested in different sheep wool breeds. As @tintinafibres put it: “There is a whole new world out there to spinners that doesn’t involve Merino.” Blue Faced Leicester (BFL) is a name I knew and saw mentioned a lot here as good for spinning but there were so, so many others mentioned including Finn, Jacob, Cormo, Flakland, Shetland, Corriedale, Romney, Polwarth and Icelandic Leadersheep. @KnitOne also added: “Gotland, Wensleydale, Friessian, Cheviot, Clun Forest, Coopworth”. Wow! I know a tiny bit about these different breeds from reading Catherine Friend’s terrific books about life on a fiber farm. There was also some mention of crossbreeds and down breeds and that means nothing to me yet but is something I imagine I’ll learn about. The most fun part of this chat was learning that there is a whole new language when it comes to spinning. It reminds me of when I first started to crochet and had that experience of it being like a secret foreign language! Interestingly, @DutchWoolDiva and @wollig shared that it’s tough to get uncommon sheep breed roving in The Netherlands. And @tintinafibres mentioned “N.American Shetland is different than UK though a lot of the time” so it’s interesting to realize that the wool and roving available in different areas can differ greatly. 3. Silk is a great addition to your blend when spinning. 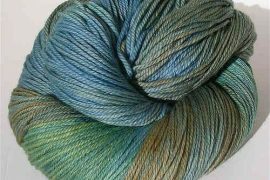 @HetWolbeest mentioned blending Tussah Silk with BFL. @Tintinafibres said, “I will spin Merino in a blend, especially silk” and said: “I used Finn/alpaca/silk in my crocheted sock article for SpinOff and that is a nice blend”. She also mentioned that adding silk in a blend gives great drape to crochet work. 4. 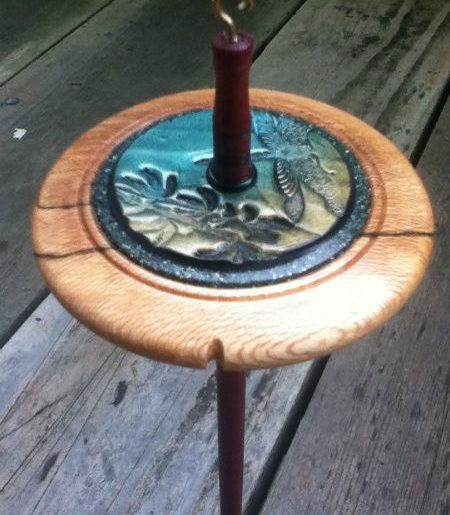 Schacht is a popular brand of drop spindle. They also make spinning wheels. Another name that came up was Ladybug; @FuzzbeeYarns mentioned switching to a Ladybug after 10 years on a Schacht. And @math4knitters mentioned an Ashford Kiwi but is also waiting on a new Ladybug so maybe Ladybug is actually the popular choice right now? 5. Spinning & Fiber Sourcebook is a recommended resource. It was recommended by both @BlackSheepGoods and @DutchWoolDiva. I’ll have to check that out since I certainly need to learn so much more about spinning than the drop in the bucket I’ve just picked up today! Do you spin? If so, I’d be curious to know if the yarns you like to spin are different from the yarns that you like to crochet with? Down Breeds are from the Downs in the UK. 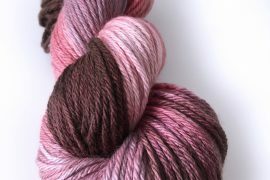 Southdown actually has it in it’s name but there are many others and they have sproingy fibre. @tintinafibres tintinafibres Thanks for the extra info. I’m learning so much! Also, the Ladybug is made by Schacht. They also have the Matchless, and the Sidekick now. The Ladybug was what I started out on when I learned to spin, now I have a Sidekick to travel with and a Matchless for my at home projects! Spinning is a lot of fun! @AndreaCarroll Thanks! I’m definitely going to have to look up all that Schacht offers since they seem to be the go-to brand people are using. Thanks! This was very helpful to me (another potential new spinner). @undergroundcrafter Yes, we’re supposed to be inspiring each other in this new craft!! :) I actually went to the LYS nearest me to get roving but they don’t sell roving so I never ended up getting started. I’m re-organizing my whole craft space right now anyway, though, so I’ll probably finish that before embarking on this new adventure. @CrochetBlogger @undergroundcrafter Well, drop me an email if you are looking for something. I have a bunch of fiber stashed up. Some that I washed, dyed and processed myself. @AndreaCarroll @undergroundcrafter That’s terrific. I know so little about fiber for spinning but I’m eager to learn! I love merino by itself or in blends. 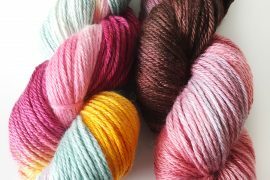 I have some merino-silk blend yarn that is just heavenly! @DreamSpunFiber Sounds so enjoyable to work with!